Hallmark Celebrations - Capture milestone moments as they happen throughout the year with the Hallmark Celebrations ornaments. 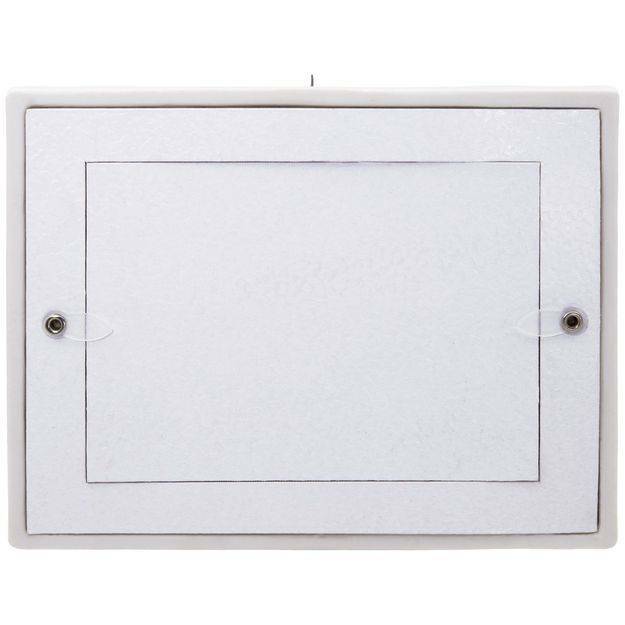 This porcelain sonogram picture holder is a perfect gift for a mom-to-be. 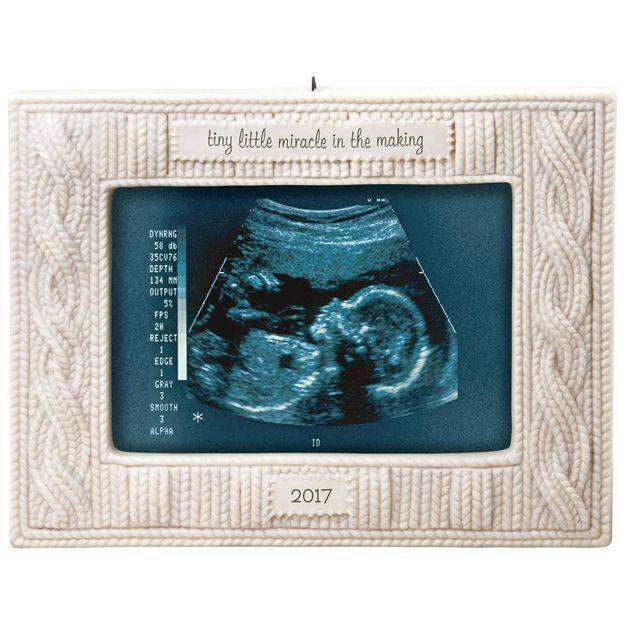 With stickers included for personalization and the sweet message, tiny little miracle in the making, this is sure to become a treasured family keepsake. 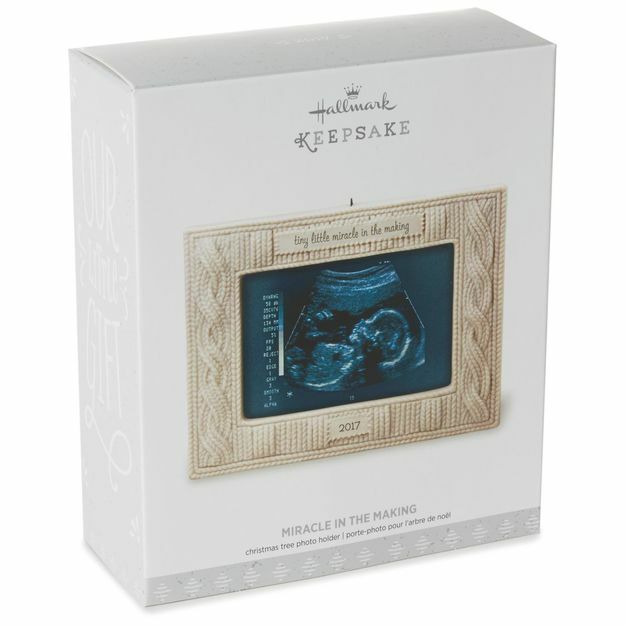 Personalize the ornament with your sonogram photo.